It’s always busy in my kitchen after my weekly visit to the local farmer’s market. This week I brought home fresh Silver Queen corn, purple hull peas, lima beans, okra and blueberries. The peas, most of the beans, the corn, and all but 2 cups of the blueberries went to the freezer. Then I decided we’ve worked so hard this weekend that we deserve a treat, so I made these delicious blueberry muffins with the fresh berries. What I love about this recipe is that blueberries don’t sink to the bottom of the muffin…the batter is gluey enough to hold them up. 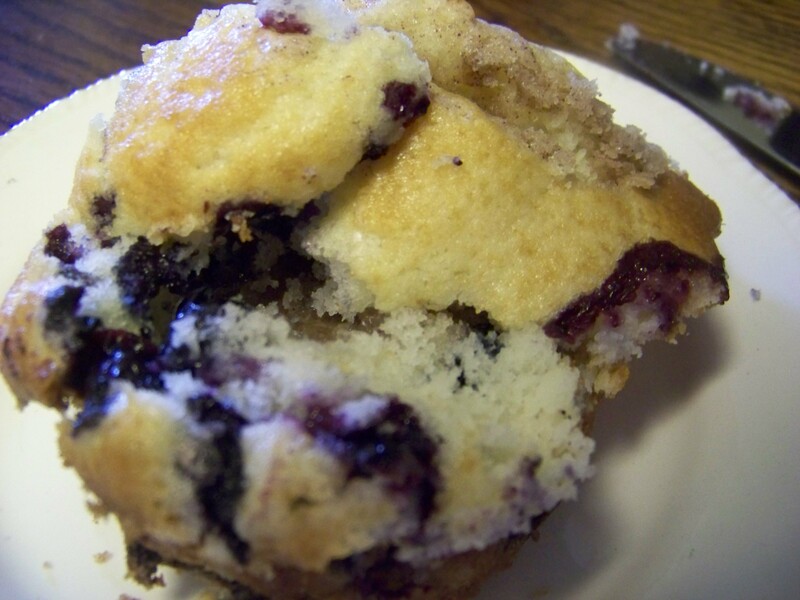 The berries are spread all throughout the muffin. 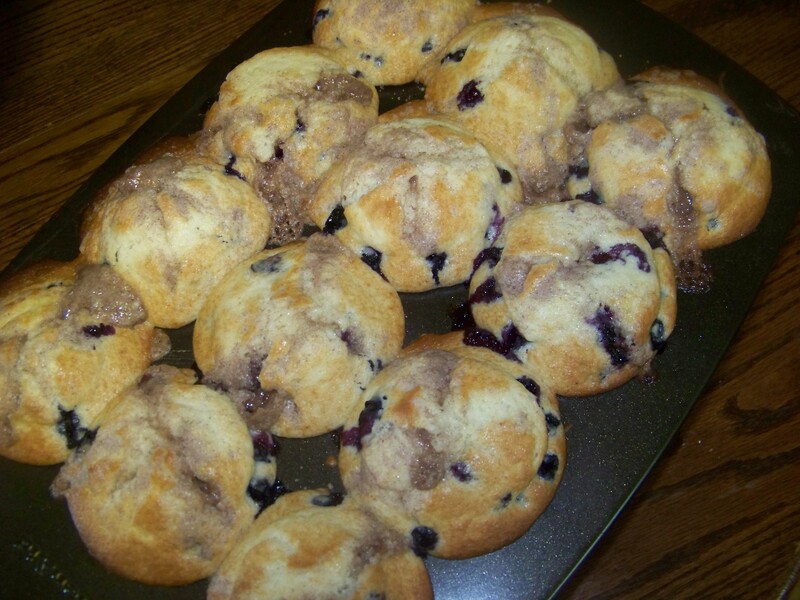 This recipe makes 6 huge, overflowing muffins, but I double the batter recipe to make 12. I still just use the recipe below for the topping, it makes enough for 12 muffins. Have I mentioned before that I love summer?